Maybe you were hurt in a relationship. Maybe you were passed up for that promotion that everyone knows you deserved. Maybe your parents neglected you as you were growing up. Maybe you were discriminated against because of your race. Maybe you received a negative report from the doctor. Maybe you have been picked on because of your weight. On top of that, I’ve noticed that some people become “stuck” in these experiences. It’s very possible that an unfair event can be put your life on hold if you don’t get over the hurdle of pain and disappointment that it leaves. If you find yourself stuck in the land of “That’s not fair!” I want to share some tips that can get you moving onward and upward. As much as we want life to be fair all the time, we can’t be so naïve as to think that only good things will happen. Life on this earth is full of the good, the bad, and the ugly. Good and bad things happen to us all. You may have a right to be hurt or offended by your “That’s not fair!” experience, but where will that eventually get you? Don’t waste your energy dwelling on the past – things that cannot be changed. Save your energy to make positive change for the future. I am not minimizing what may have happened to you. Some events may leave a scar on your heart forever. However, you are the only one who can decide how this will shape your life. Will you allow it to make you bitter – or better? Regardless of what unfair event has happened to you, look for the good you can extract from it. I’ll admit that’s kind of a silly example, but here’s the point: You must make a conscious effort to find the good in your situation. Did that experience made you stronger? Has it caused you to be more sensitive to others who are going through the same thing? Did it teach you lessons that you otherwise would not have learned? 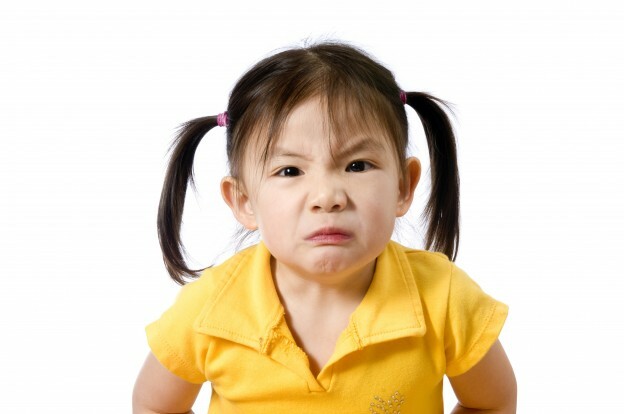 Look for the good in your “That’s not fair!” situation, and you will see your attitude change dramatically. Without that spiritual connection, it’s easy to feel like you’re just a random dot on the map with no meaning or purpose. In order to get past the hurdles of hurts and pains, it is critical to realize that they are all part of your ultimate purpose and plan. Let’s take a diamond as an example. A diamond is formed from deep within the earth, alone and in darkness. After years and years of intense heat and pressure, this lump of coal endures its experience to become an incredibly valuable stone. God sees you as a diamond in the rough. He wants to take those negative experiences in your life to turn you into a better, stronger, wiser, more loving person. Every event in your life is allowed so that you can be shaped into the person you need to be in order to achieve your ultimate purpose destiny. This entry was posted in Coaching on June 21, 2015 by kHHz9uqIE4UG. If I had a dollar for every book or seminar written on improving self-esteem, I would be absolutely rich. There is no shortage of authors or motivational speakers with how-to solutions on “five quick tips to boost your self-image”, or “feel better about yourself in 12 easy steps”. You made a mistake on that project and now you can’t stop beating yourself up. In today’s world, it can be tough to feel good about yourself on a regular basis. This is an issue I see with many, many people – and I feel compelled this month to share with you what has worked for me. Many attempts to find self-esteem are at best temporary, because they do not address the root of the issue. So, here is what I have found to bring life-long self-esteem. There is sometimes a tendency to separate our lives into categories: Who you are at work may be different from who you are at home. Who you are at home may be different from who you are at church. Who you are at church even be different from who you are at work. The truth is, you are one whole person – body, mind and spirit – and the three cannot operate individually. And your spirit – the most important of them all – has a great affect on your physical being, as well as your way of thinking. To realize your own personal value, I have found that it’s important to see things in a spiritual light. Tonight, take a moment to look out at the stars. It’s a wonderful reminder that here is so much more to this world – this universe – this existence – and you are a part of it all. The key to attaining true self-esteem is realizing that you are not here on earth by happenstance. You are not just a living “blob” created without purpose. The first step to discovering your true, authentic self is acknowledging that you are a wonderfully made by a Creator – a designer – a God. All great designers – whether they are engineers, seamstresses, or artists – have the ability to create unique pieces of work. They put their heart – their very being – into what they have created. And the finished product is something truly special. It’s something to be valued and admired. God is the ultimate Designer. Because He loves you, He has designed with you with great care and purpose. Begin to see yourself as that unique piece of work. This means that you must not lean on other people to define who you are and what you stand for. It doesn’t matter what others say about you. When it really comes down to it, it doesn’t even matter how you see yourself! What truly counts is agreeing with how God sees you. You ARE valuable. You ARE gifted. You ARE loved. It doesn’t matter who you are or what you’ve been through. Real self-esteem comes when your thoughts and actions align with who God says you are. This is where you find your true, authentic self – the person whom you will highly esteem! Coaching tip: Ask yourself this question: Is your self-esteem based on what others think of you? Is it based on how you think you “perform” on a daily basis? If you answered “yes” to either, I challenge you to take 10 minutes tonight to look out into the stars. Speak to God our Creator and ask Him what He thinks of you. And please share with me what you experience! As women, we often struggle with feeling "good enough". It's time that you see yourself as God sees you - a royal daughter of the Most High King! "Rising to Royalty: The Journey to Your True Identity" reaches into your core, showing you how to embrace and love yourself the way your were designed to be loved. The book, along with a personal coaching study guide serves as a powerful resource that will help you to walk in your true identity - Royalty! This entry was posted in Coaching on June 14, 2015 by kHHz9uqIE4UG. Do We Need the 10 Commandments to Succeed? As Christians, does our personal and professional success rely on being obedient to God’s laws? Not so much as you may think. 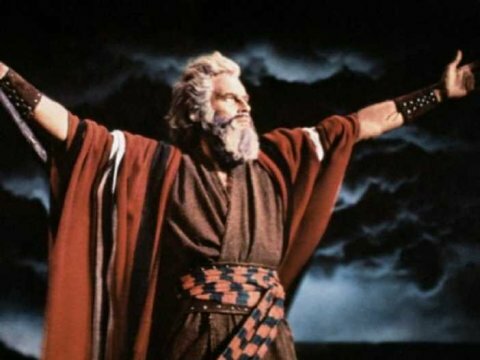 Frankly,I think that we’ve all watched Cecil B. DeMille’s “The 10 Commandments” epic one time too many. Although I say this somewhat tongue-in-cheek, let me explain why this statement is true. We must remember that as Christians, we are not in the same position as the Israelites who cowered before God at the foot of Mount Sinai. Like the Israelites, we sometimes believe that if we follow the letter of the law, then God will bless us. But if we fail in any area, then we believe that because we have not obeyed God, then we could lose that blessing. Because of wrong teaching and our wrong believing, we find ourselves bound under requirements of the 10 Commandments (the Law), which of course we can never live up to. Do not hear me incorrectly. The Law is perfect. The Law is Holy. The Law is from God, and it is just. But that’s where the problem lies. It’s so perfect, holy and just that we as humans can never live up to it. And that is exactly why Jesus came on the scene. Because the Law is perfect, Jesus was the only one who could fulfill it. And He did it on our behalf so that instead of God’s wrath, we would receive the abundance of grace and the gift of righteousness (Romans 5:17). When you come to believe in the finished work of Jesus, you are no longer under the law, but you are now under grace. What does this mean for you personally and professionally? Being under grace means that God has empowered you to succeed at everything you do. He wants you to have that new job. He wants you to get that promotion. He wants you to discover and walk in your purpose. You don’t ever have to wonder if you have earned God’s blessing. In fact, you can be confident that He has plans to bless you, to give you to hope and a future (Jeremiah 29:11). What then? Shall we sin because we are not under law but under grace? Certainly not! (Romans 6:15). When we believe in Jesus by faith, we immediately become free from the requirements of the Law, which means that we are also free from it punishments. But that does not mean that we can live however we want. Instead, we are now free to allow the Holy Spirit to TEACH us how to live a better life. Grace causes us to sin LESS, not more. In order to truly experience these blessings, you have to believe that God wants to unconditionally bless you, regardless of your sin. If you were looked over for that promotion, don’t fall for the lie that it is because you weren’t obedient enough to God. If you didn’t get that job that you applied for, don’t believe it’s because God is punishing you for your sin. If things don’t work out your way, instead know that God may be protecting you from something that is not in your best interest. Because you now live under grace, you can trust that He has something better for you! As a believer in Jesus, you now live under grace, not the law. No longer do you need to roam around the foot of Mount Sinai, trying to earn what you already have. The 10 Commandments have done their job perfectly. They’ve brought you to Christ. Thank them, go on your way, and walk in freedom knowing that by grace, you are in good standing with God. You are free to succeed! This entry was posted in Coaching on June 7, 2015 by kHHz9uqIE4UG.